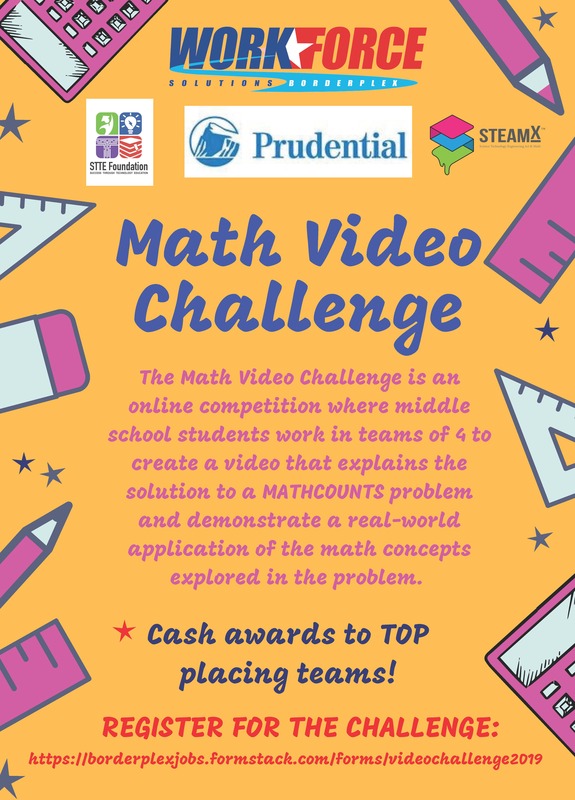 Prudential Math Challenge Registration Is Now Open! 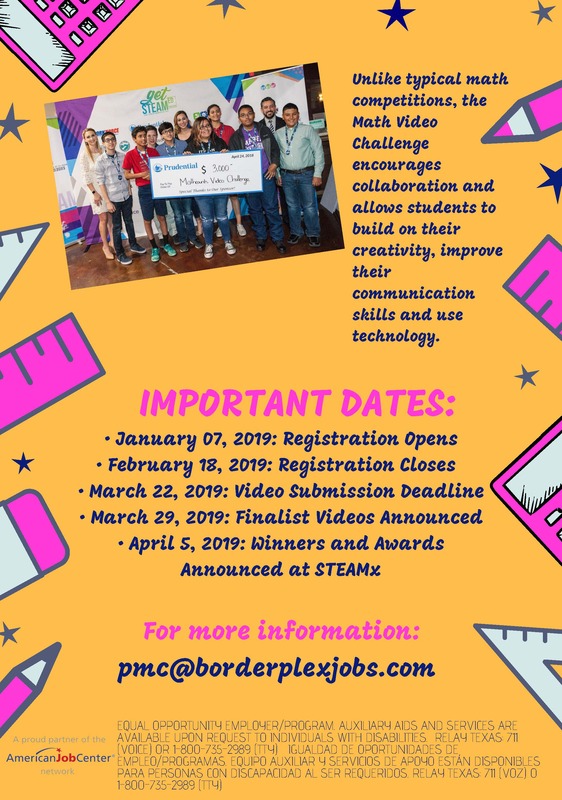 | Workforce Solutions Borderplex | Prudential Math Challenge Registration Is Now Open! 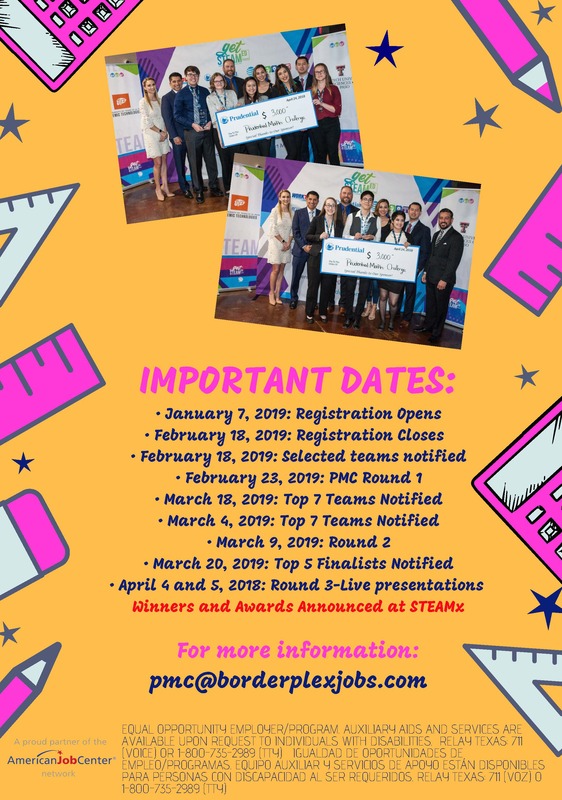 Prudential Math Challenge Registration Is Now Open! 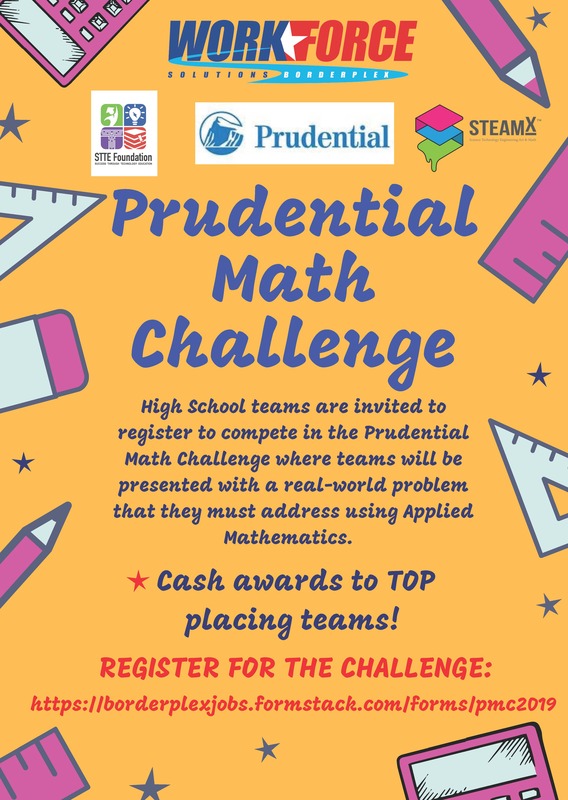 Middle School and High School teams are invited to register to compete in the Prudential Math Challenge where teams will be presented with a real-world problem that they must address using Applied Mathematics. Registration is now open! Don't wait! Be a part of the Prudential Math Challenge today to be a part of this resume-buidling experience and win cash prizes, too! For more information, click on the PDF link above. For High School Registration, click here! For Middle School Registration, click here!